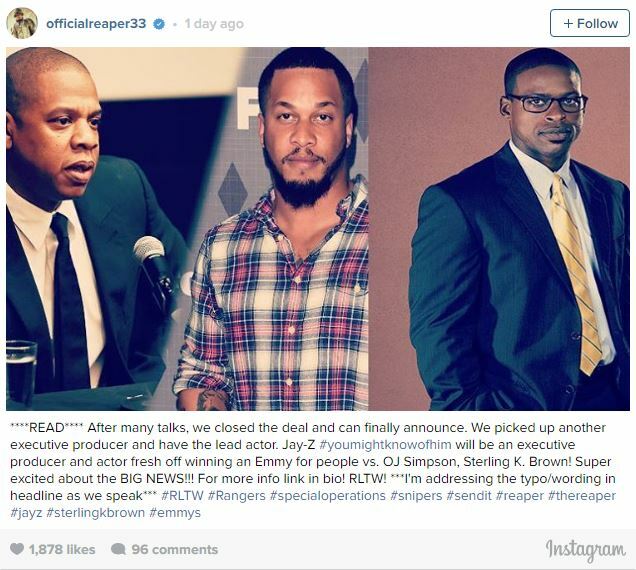 Rapper Jay-Z has teamed up with the Weinstein Company to produce a miniseries about the first black American sniper in the U.S. Army 3rd Ranger Battalion. The show will portray the struggles and accomplishments of Nicholas Irving, both inside and outside the military. The miniseries will focus on retelling the tales Irving shared in his 2015 memoir “The Reaper: Autobiography of One of the Deadliest Special Ops Snipers.” The biography was reportedly written by Irving during a Jack Kerouac style alcohol-induced four day binge shortly after leaving the army. Filming for the mini series is expected to begin in early 2017.